Uniquely designed for student sample collecting, the supplies in this kit are durably constructed and ideal for transporting samples back to the classroom or lab. 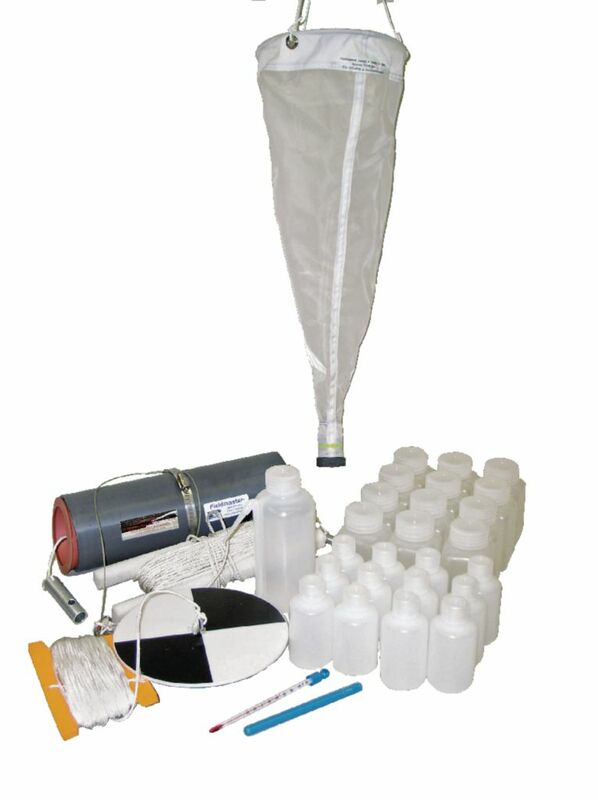 The basic water bottle provided is constructed of PVC with soft rubber seals and 20m of line on a styrofoam float that will bob to the surface if dropped. The plankton net is constructed of genuine Nitex® 80 micron mesh with a stainless steel ring and bridle for attaching line. 250mL sample bottles and 125mL bottles fit into the plankton net with the included adaptor and allow for multiple samples. The secchi disk meets industry standards, determines turbidity in shallow waters, and comes with attached line on a winding float. A 500mL wash bottle and 3/4" long thermometers are also included. Comprehensive teacher instructions provided.